At WaveAccess, we implement custom software that drives scientific research & development processes. Our in-house team is made up of engineers with advanced degrees in all relevant fields (e.g. 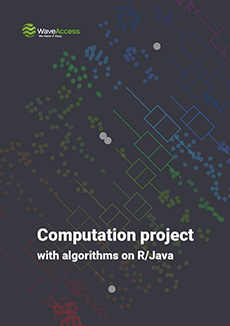 computer science, computational physics, materials science, genetics). This enables us to maintain lasting partnerships with science-intensive companies, such as Thomson Reuters. We have a core unit of highly-skilled software engineers and also a flexible pool of freelance contractors if the project needs some unique expertise not represented in the core team. 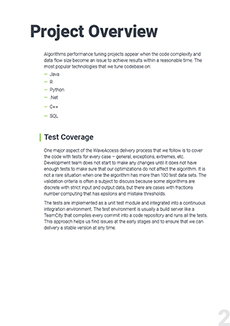 The core team’s combined skill set covers all popular software development languages and frameworks. One of our recent projects has been the creation of a system used to process massive amounts of data through the implementation of peaks and a dedication to pre-sales tasks. Read about this case by clicking on the link below. It is scientific software that helps today getting new incomes and discovering new and surprising facts. Here at WaveAccess, we design and build high-performance scientific applications for the web, mobile and desktop systems that are capable of solving the most complex tasks. We can begin our work during the planning and development phases, as well as in the development process, if there are problems regarding insufficient resources or issues with your current contractor which call for an urgent recovery of the project. Signing strict NDAs if necessary. The project is based on a prototype developed by our customer from pharma industry. Our solution is integrated with client’s storage. It quickly processes large amounts of data and performs an interactive visualization of the results. 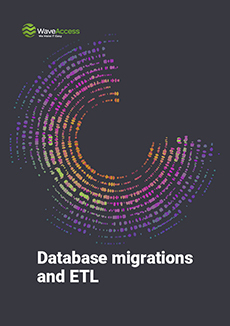 In this project we have improved performance of client’ s ETL pipeline. 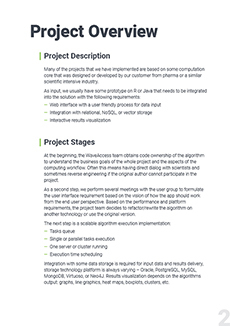 As a result, our customer received a documented pipeline with reasonable performance characteristics to support the expected data flow and formats. 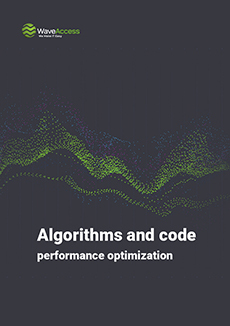 We improved algorithm efficiency in the 8 steps: from changing of common sub algorithms to overall performance tuning based on reverse engineering process. The solution delivers computation results in a reasonable time. We have been working with WaveAccess for over 2 years on projects relating to development of software and searches for scientific applications. We are very impressed with how quickly the professionals at WaveAccess understand the use cases needed for scientists and realized them in the software. WaveAccess colleagues responded quickly by taking good immediate care regarding any hiccups. The team is very professional and reliable in communication. 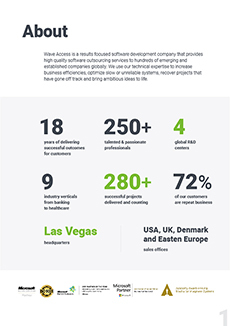 I would recommend WaveAccess for any of your software development needs. I have worked with Wave Access for over 10 years now via several companies and they have always delivered what I want on time and on budget. We have worked together on web projects, integration, data loading, building de novo platforms, supporting and further developing legacy code, documentation, and mobile apps. Now my company supports the life science community by curating data and providing knowledge mining services. WaveAccess team embraces our goals, and I am happy with their work products.